A lot of people overpay for HDMI cables but what they’re really paying for is expensive packaging and a lot of marketing. 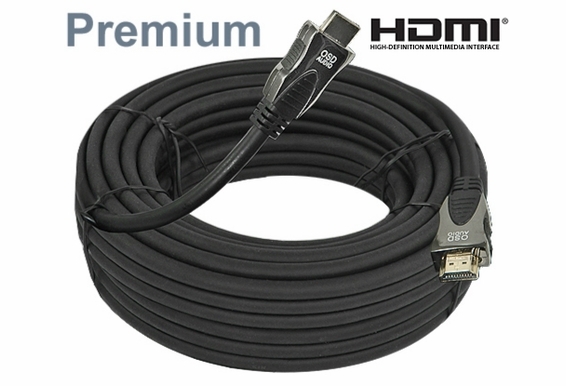 The fact is that certified HDMI cable has the same bandwidth and transfer rates, so more expensive cable doesn’t translate to better picture quality. High Speed with Ethernet tells you that you have the latest, most up-to-date cable available on the market. For long runs, we offer this 60-foot premium roll of High Definition Multimedia Interface. The first industry-supported, uncompressed, all-digital audio/video interface. 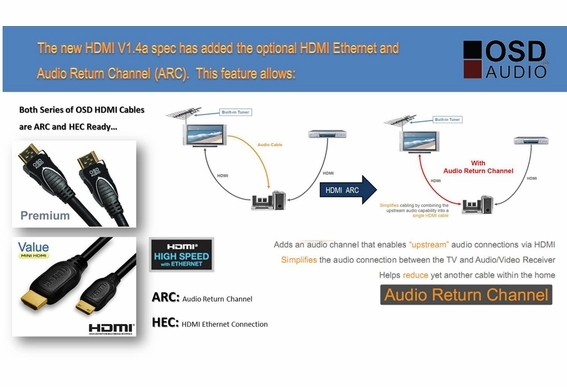 HDMI® provides an interface between any audio/video source, such as a set-top box, DVD player, and A/V receiver and an audio and/or video monitor, such as a digital television (DTV). 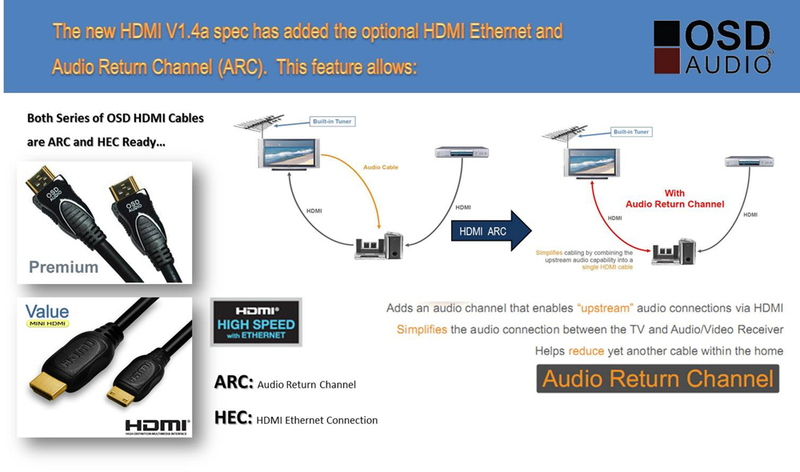 HDMI® supports standard, enhanced, or high-definition video, plus multi-channel digital audio on a single cable. It transmits all ATSC HDTV standards and supports 8-channel digital audio, with bandwidth to spare to accommodate future enhancements. How long can I run the HDMI cable before the signal degrades? 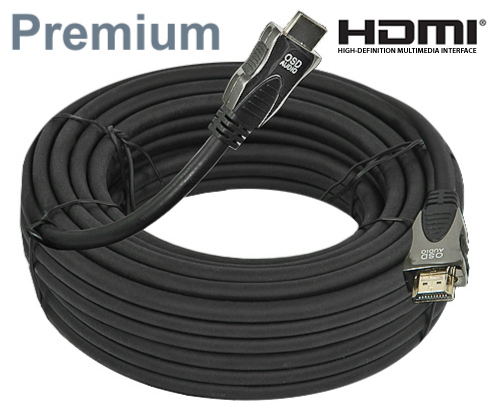 OSD Audio HDMI cables use the latest technology in HDMI and are tested at much higher speeds than required. Customers are frequently able to use longer lengths, such as the 100 feet HDMI cable, without the need of an extender; however, runs over 50 feet sometimes require an extender.